Demand for orthopedic services is growing. Competition is popping up everywhere. And it was critical for Presence Health to establish a prominent position in this market. To address this challenge and drive numbers up, we developed a two-phased strategy. First, Presence needed to find potential patients and begin to develop relationships between physicians and these consumers. 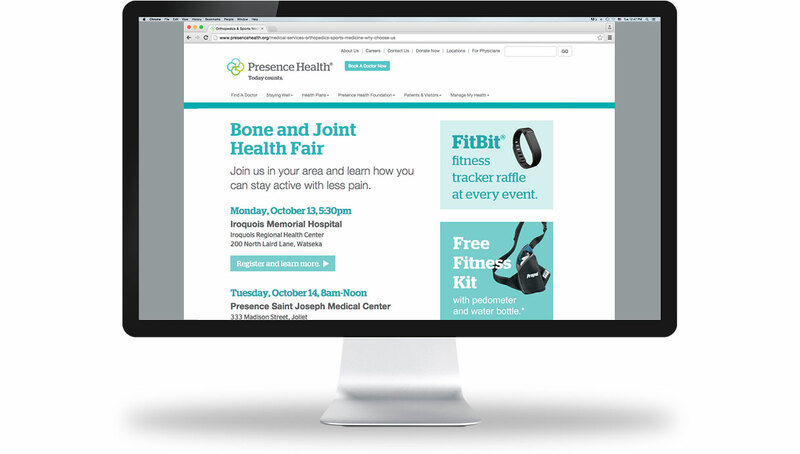 To make this happen, we collaborated with Presence’s regional leaders to create physician-led Bone & Joint Health Fairs, featuring a myriad of orthopedic-related topics at nine hospitals—from Chicago to Champaign. 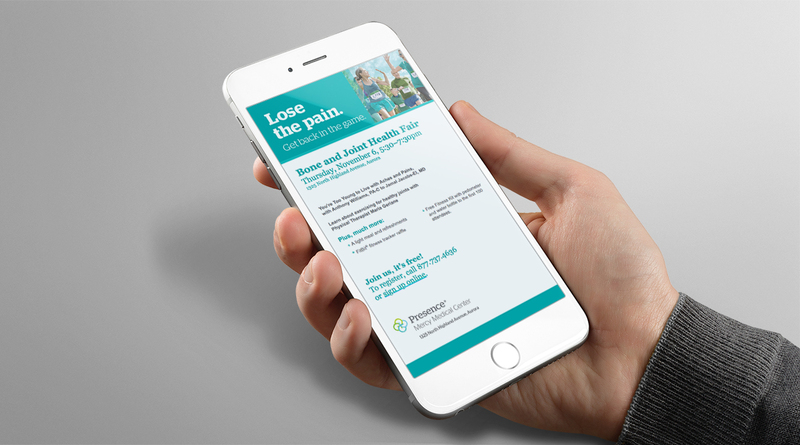 The events were highly successful with 694 attendees, over 80% of whom said they would consider using Presence Health for their future orthopedic needs. 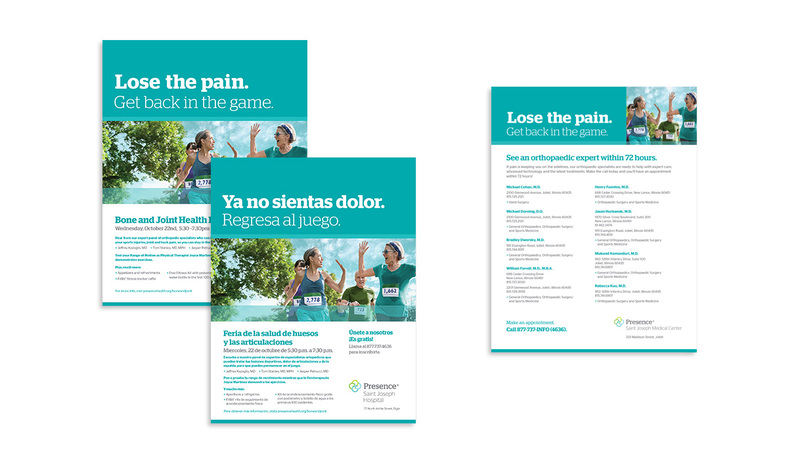 During the second phase, we promoted a feature desired by consumers for orthopedic services—quick appointments. 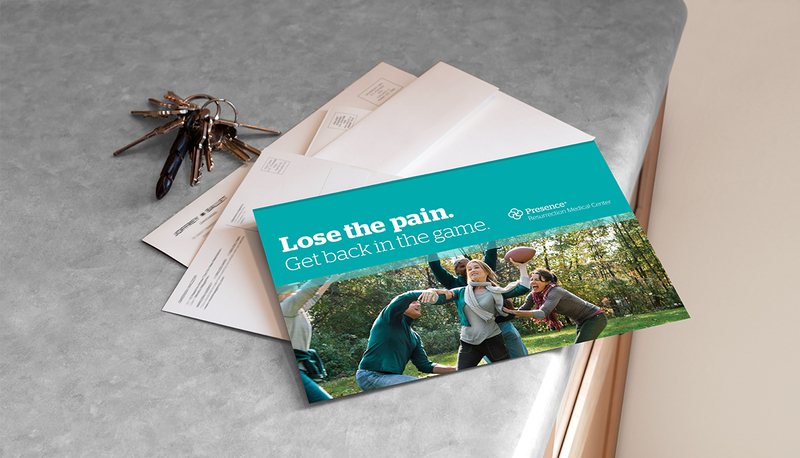 Highlighting physicians that committed to offering appointments within 72 hours, we designed a full range of programmatic digital ads, direct mail, print and outdoor.